This territory straddling Drôme and Hautes-Alpes has preserved a certain quality of life, with a touch of modernity ! It is also an essential territory for the cultivation of fine lavender. Gateway to the Lavender territory, Vaison la Romaine is better known for its Gallo-Roman ruins and its wines than for its lavender ... But by walking from Buis-les-Baronnies, you will realize that lavender is very close! 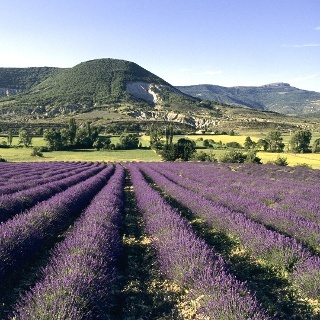 We then go down to Orpierre and the Buëch valley, land of climbing, mountain biking, apples and ... lavender !! Then we go up the Céans to Laborel and its distillery. The route then takes you to Saint-Auban-sur-Ouvèze. It will only be up to you to join Vaison-la-Romaine, crossing Buis-Les-Baronnies.